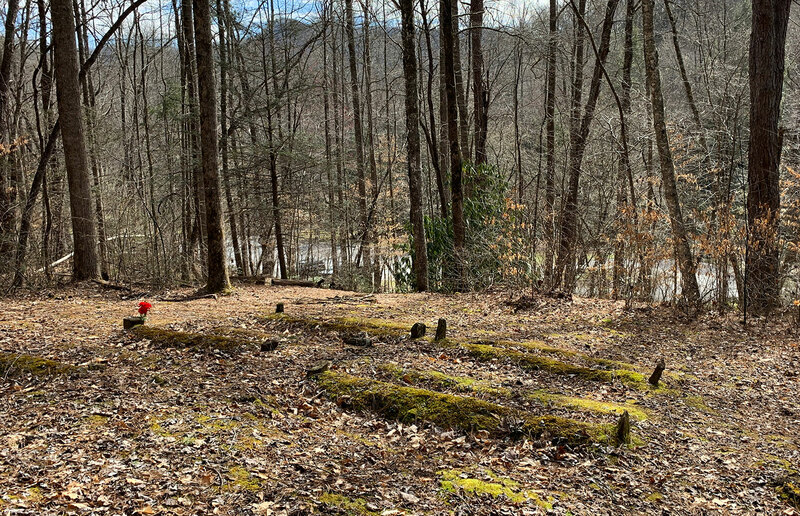 A lot of people who visit Mingus Mill in the Great Smoky Mountains National Park have no idea that there is a slave cemetery adjacent to the parking lot. Off the trails of Mingus Mill and up a hill, lies a small cemetery beneath the trees. It is not known exactly who’s buried here. There are no names or dates or head stones, just rocks that mark the head and feet of the graves. This area is recognized by the National Park Service as the Enloe Slave Graveyard, named after the white settlers who lived in this area. The land where the slaves are buried belonged to the Enloe, Mingus and Floyd families. It’s worth a stop at this quiet spot. 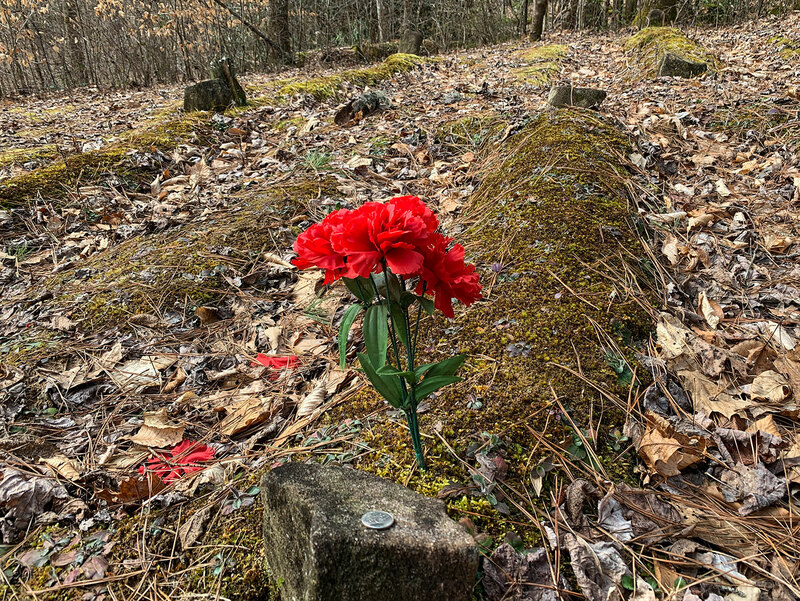 The graves sit on a hilltop, out of view from the Mingus Mill hiking trails, unless you know where to look. At the far end of the parking lot you’ll find a gate that is the trailhead from the Mingus Creek Trail. Look for a worn path to the right of the gate that wanders about 75ft up a small hill to the cemetery. Lodging — In the Bryson City area you’ll find a wide variety of lodging, from familiar hotel chains to unique lodges and inns to mountain cabins and campgrounds. Our lodging directory is where you’ll find the perfect accommodations for your Smoky Mountains getaway.